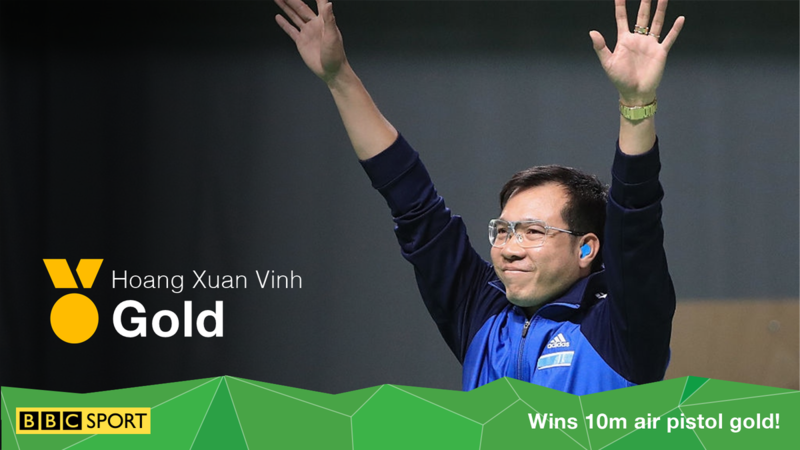 Xuan Vinh Hoang secured Vietnam's first Olympic gold medal in any sport on Saturday, winning the men's 10-metre air pistol event after holding off crowd favourite Felipe Wu of host country Brazil. 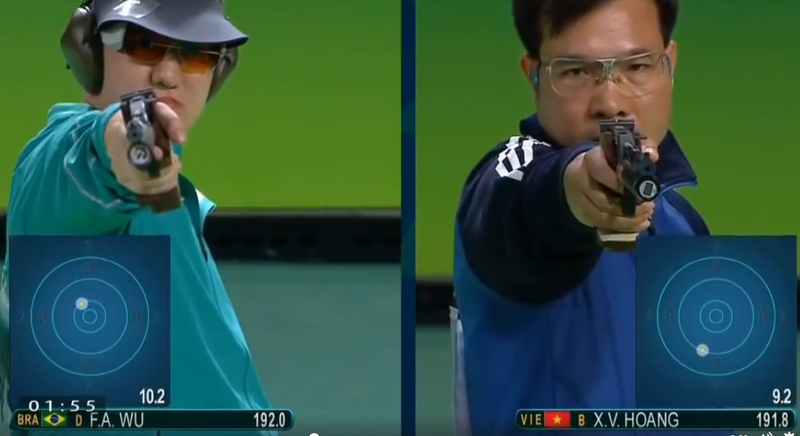 Wu, a 24-year-old competing in his first Olympics, won Brazil its first medal of the Games, on the first day of competition, and its first in shooting since 1920. 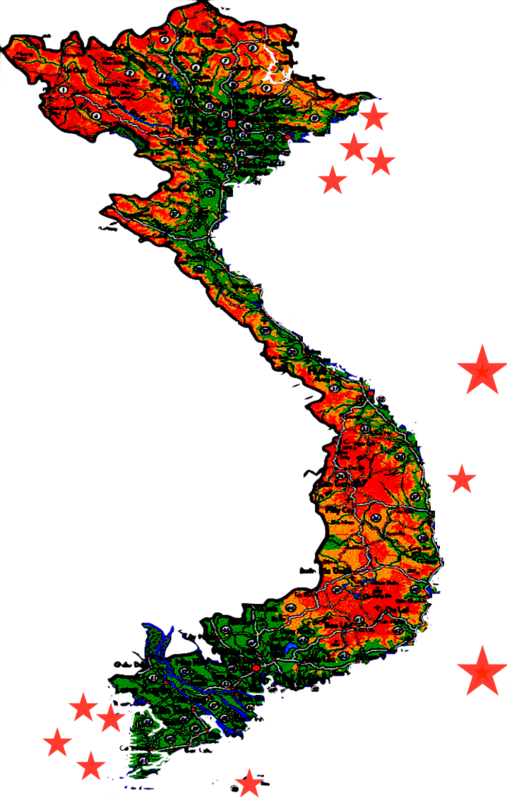 He and the 41-year-old Hoang took turns at the top before the Vietnamese eked out a 0.4 of a point advantage to win with 202.5 points in 20 shots. Both are members of their countries' armed forces. "In the last shot, all I was trying to do was finish it off," said Hoang, a two-time Olympian who also won his country's first medal in shooting. 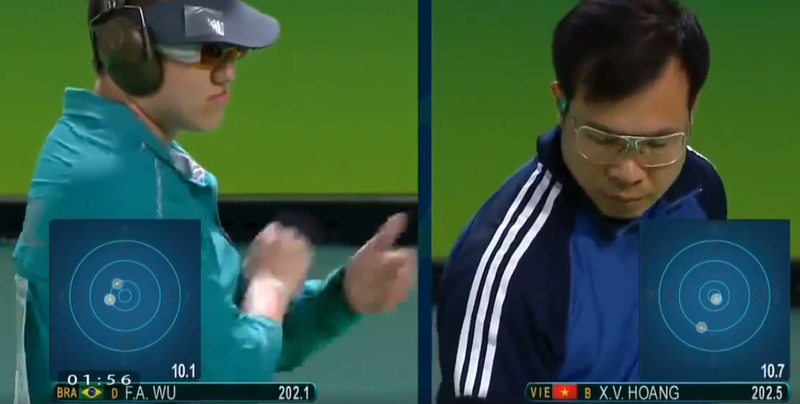 China's Pang Wei, who won the gold medal in Beijing in 2008, took the bronze, while defending Olympic champion Jin Jong-oh of South Korea failed to recover from a poor start and finished fifth.